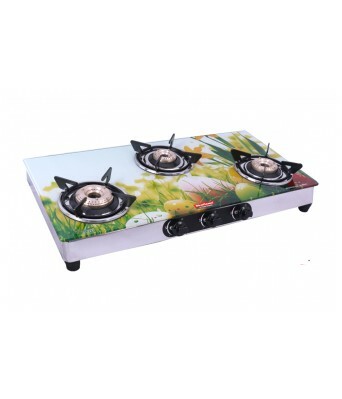 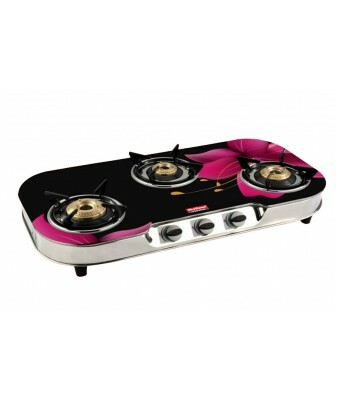 Tri-pin Glass Burner Gas Stove Cooking becomes easy when you have the right accessories and utensils with you. 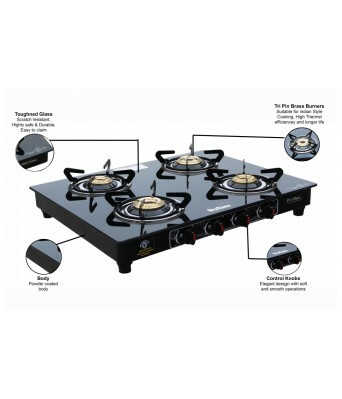 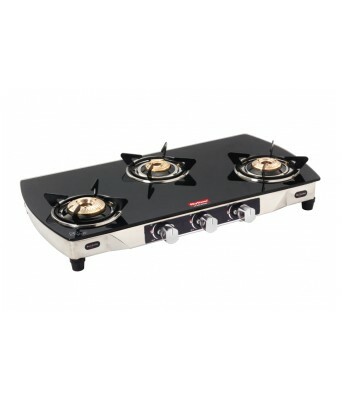 The Skyflame Glasstop Gas Stove features a set of three burners for cooking more than one dish at the same time. 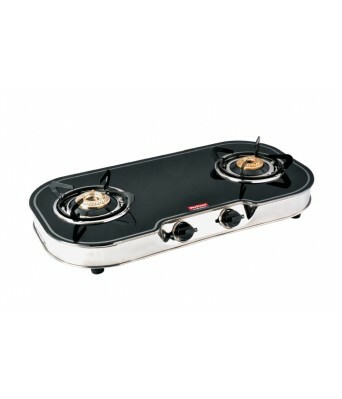 Its stands provide better balance and a unique pan. 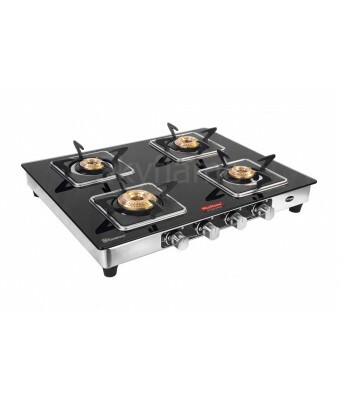 Its 360 degree revolving nozzle and easy-to-use design makes it ideal for all types of households. 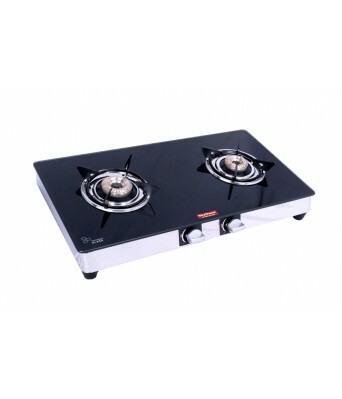 Stunning Design with Toughened Glass-Top Made from stainless steel and featuring a highly heat-resistant and toughened glass on top, features an elegant design that can improve the overall décor of your kitchen. 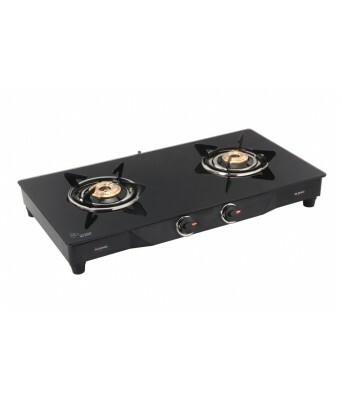 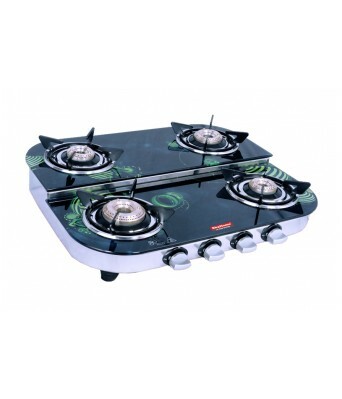 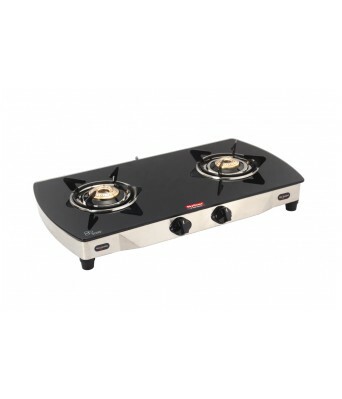 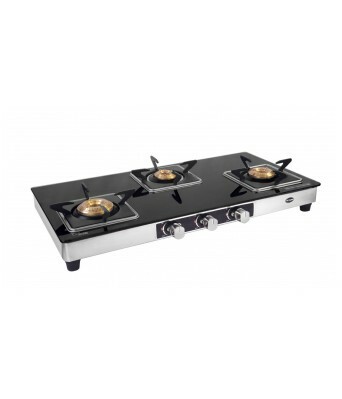 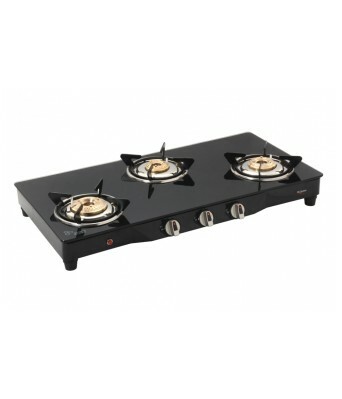 Available in a glossy black finish with three tri-pin brass burners and featuring futuristic-looking knobs, this gas stove will add a touch of elegance to your kitchen and dining space. 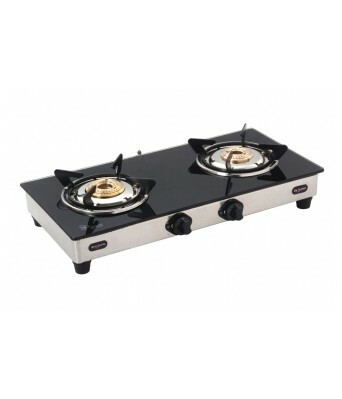 Easy to Clean and Maintain Featuring a spill-proof pan support and a removable stainless steel drip tray, Skyflame Glasstop gas stove is very easy to clean and maintain on a regular basis.